Beach Ultimate tournament, every year since 2000. 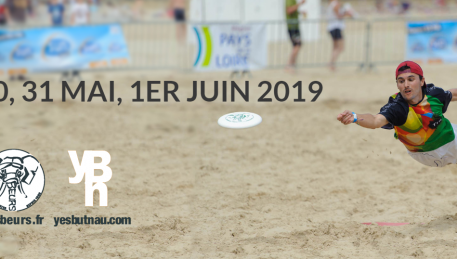 Organized by the "Frisbeurs Nantais", and the city of "Le Pouliguen"
In 2019, let’s go for the 20th edition of the beach utlimate tournament. This year, 2 divisions : Open & Mixte You can send your application until March 10th. All informations on this page by clicking here.